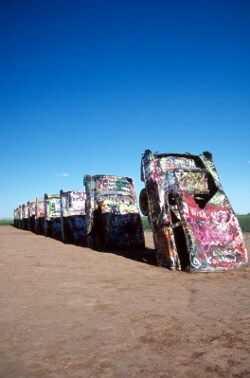 This week, the O’Briens begin the day in the Texas Panhandle, at Cadillac Ranch. After a stop in New Mexico to look at rattlesnakes, Lucky’s true nature is revealed. It’s hard to believe Hell Comes With Wood Paneled Doors will be coming to an end on February 20! 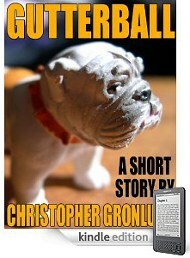 If you’ve been enjoying the story, let me know. I’m not sure if I’ll work on another podcast right away, but as I recorded this chapter and realized the end of the trip is near, I’m thinking about what to do next. It gets crazy from the end of this chapter to the final chapter; thank you all for coming along on the ride. 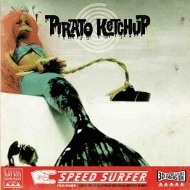 The theme music for Hell Comes With Wood Paneled Doors is by Belgian surf band, Pirato Ketchup. Visit their MySpace page or Jamendo profile. The Hell Comes With Wood Paneled Doors Podcast by Christopher Gronlund is licensed under a Creative Commons Attribution-NonCommercial-NoDerivs 3.0 Unported License.